(Newser) – The powers that be in the world of health have changed the standards on high blood pressure, and the upshot is that a significantly larger number of Americans are now at risk. As of now, anyone with a reading of 130 over 80 is considered to have high blood pressure, down from 140 over over 90, reports the Washington Post. 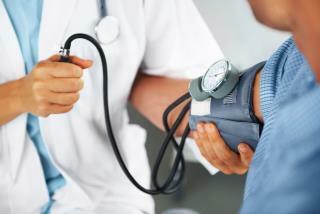 Under the old standard, 32% of Americans had high blood pressure. Now, 46% of the nation qualifies. The good news is that only a relative handful of the new people in the category would need medication—the AP estimates that number is only 2% of them. Instead, health authorities want to flag the problem earlier for people and get them to make lifestyle changes in terms of diet, exercise, booze, smoking, etc. they are doing this to push new drugs/prescriptions. Actually my BP is fine for a fat lazy bastid, having spent a week in hospital. Best was 127/78. Whoo hoo!